When Specialized asked me to work with them on their 2013 line of children's bicycle helmets I was more than happy to roll up my sleeves and jump in. Children's product always lends itself towards the whimsical side of design and this collaboration was no different. 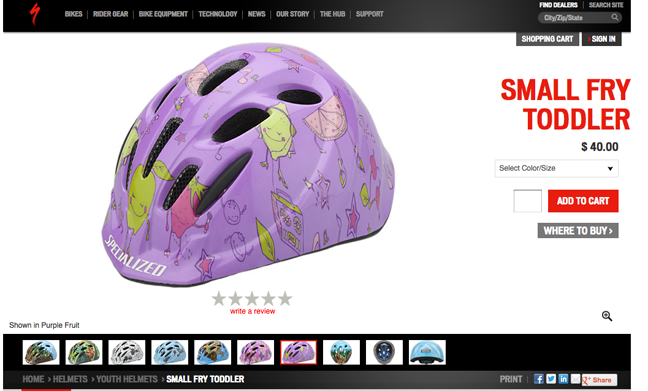 I am excited to announce that the toddler helmets I illustrated are now in stores and available for purchase! The two that made it through to production are the Fruit Dance Party and the Tree Frogs. It's a jungle out there...wear your helmet little buddy!